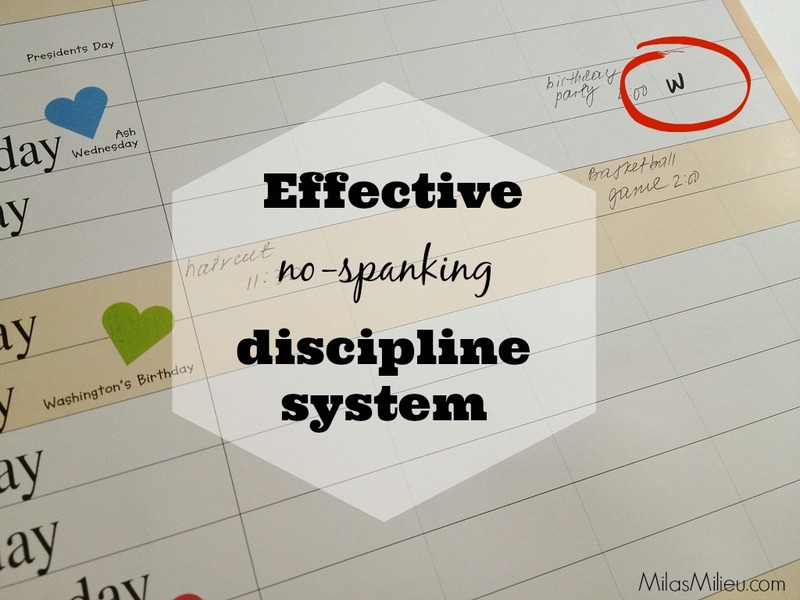 I wanted to share a discipline system that my husband came up with about four years ago. It has been working very well for us, and I hope it will help you solve some of the challenges you may be facing with your kids. My husband and I are on the same page when it comes to spanking: we don’t find it appropriate or effective. To be completely honest, I did spank my first born, not thinking much about it. When my second child got into his toddler years, it hit me (ha!) that I am not accomplishing anything by spanking except inducing bitter feelings and fear in the kids. No matter what others say on “spanking with dignity”, I feel that both mine and the kid’s dignity goes down the drain when we resort to spanking. But children need discipline. Nobody is born knowing how to follow the rules and do things he or she doesn’t want to do. It’s a learning process, and both kids and parents need a tool to help along the way. 1. We start by setting the expectations straight: a child needs to know exactly what the rules are. Sometimes we explain the reason behind each rule, especially with younger children. For example, “we need to put away the toys so that it was easier to find what you need next time you want to play”. We don’t spend too much time explaining the rules though. It’s not a discussion, and the kids don’t get to have options. The goal is for them to have a clear understanding of what’s expected of them. 2. At the same time we explain how the “3W” system is going to work: for each “wrong choice” a child gets a ‘W”= “warning” written down in the family calendar in his/her column. Three “W”s a week is the limit, and it means that they lose their allowance money for the week. For small kids who haven’t grasped the concept of money yet, they lose dessert (all kids understand that concept very well). 3. When a rule is broken for the first time, a child receives a verbal warning. This is to remind them that the “W’s will start going up on the calendar if they don’t change their behavior. 4. When/if a child does break a rule, we go on writing a “W” in the calendar. We have noticed that for some of our kids one “W” on the calendar is enough to have them watch their behavior for the rest of the week. And others would go on without allowance for weeks. 5. Examples of behavior that get you a “W”: arguing, skipping on chores or not doing them well, disrespectful attitude, lying. The list is somewhat fluid. It basically includes what is referred to as “good citizenship”. We put the emphasis on everyone doing his or her best being “a good citizen” of the family. As with any system, this is not an automatic solution to having kids make all the right choices all the time. It is a process, and takes longer or shorter time depending on the child’s personality. In the long run, it’s been really effective for our family. A lot of issues that we faced in the past (arguing, not putting away toys, slacking on chores) have become non-issues for the most part. And that’s the ultimate goal of discipline– to get to the point when a child behaves well on his/her own, and not out of fear of the consequences. This system is not the only one we use. Loosing a privilege and a time-out also happen around here on a regular basis. But the “3W”s system has been so effective, I can’t imagine going back to not having it. Can you share your discipline tips in the comments? What do you find most or least effective with your kids? Worked like a charm on my 16 year old (she was 12 back when we started). She really likes to get her allowance. She was the one that missed out on it most in the beginning. But not any more, for the most part. this is a great system! We use a combo of something similar, my two year old gets time outs and they are effective as he is really bothered by them. I am sure to explain WHY he has to be removed from the rest of us to chill. With my 8 year old, he goes in phases. If he’s having an off week I bring by the 3 strike rule and it’s helpful. My biggest struggle with him is the arguing/talking back. I like your 3 strike rule, Courtney. Talking back and eye-rolling is a big “no” for me, so it usually gets them a warning. It is definitely harder with toddlers, but they do get it pretty fast.